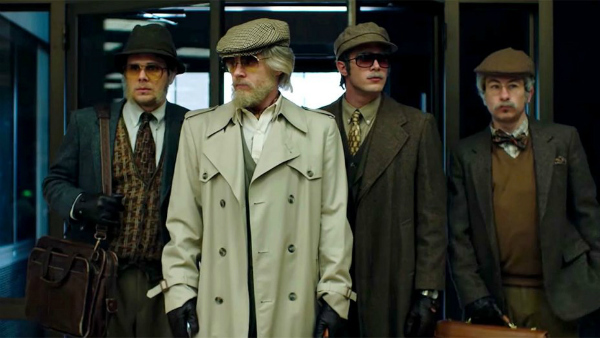 Bart Layton's "American Animals," starring Barry Keoghan from "The Killing of a Sacred Deer" and a believably manic Evan Peters, tells the true story of a quartet of bored college kids who, inspired distantly by heist movies, decide to rob their campus library of several valuable Darwin and Audubon volumes. Their story is told using both traditional fictionalized storytelling and actual interviews with the real men who committed the crime. In his review, Witney points out that the meta-textual elements are somewhat engaging, but the pacing is too slow and sleepy for the film to be wholly successful.